Scott bought the home on a whim for $1.2M. "The Hut," the property of NBC's "TODAY" show weather man from 1980-1996, is on the market for $975,000, reports the Wall Street Journal. 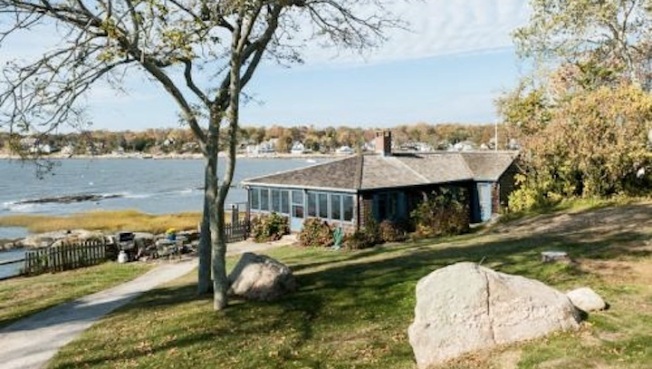 Scott noticed the waterfront cottage in Guilford, Connecticut, and instantly fell in love with it, saying it reminded him of the fishing cottages he'd seen in Ireland. He bought it for $1.2 million without even going inside. Now Scott admits he "paid way too much' for the cottage, and since he's moving in with his girlfriend in Naoank, he's putting the home up for sale. Built in the 1795, The Hut was originally used as an office for a fish-oil company. After a renovation, it boasts 1,000 square feet of space, the original fireplace and chestnut floorboards. The property includes a one-bedroom, one-bath guesthouse, and it's a short walk to a beach.